We provide LIMITED seating – For your own comfort we suggest that you bring a folding seat with you. 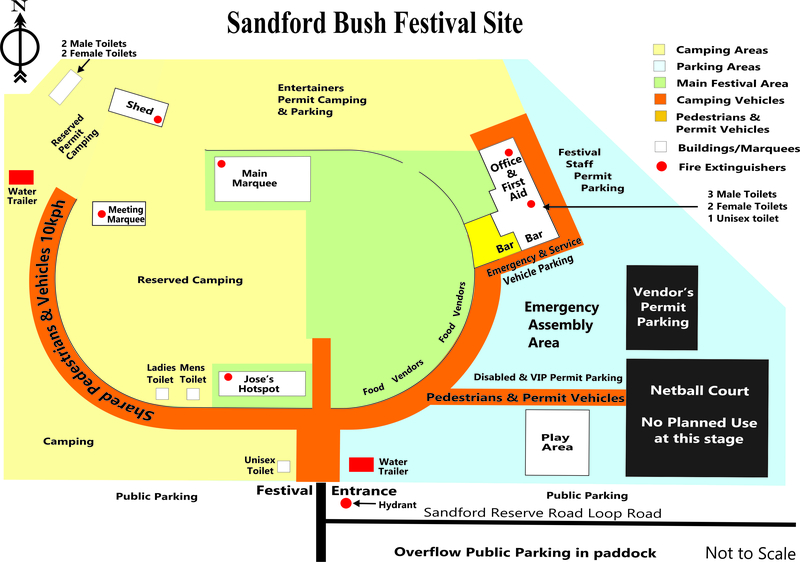 The Sandford Bush Festival is a Celebration of Bush & Country living focusing on music, bush-crafts, art and local culture. This memorable event will be held from Friday 8th to Sunday 10th March 2019 (Labour Day Long Weekend). Bush Ballads, Folk, Gospel, Celtic, Reggae, Bluegrass and Aussie Country music are performed by professionals, semi-professionals, amateurs and hopefuls including some very talented younger performers. As well as the music there is Bush Poetry, Country Crafts, Jam Sessions, Art Exhibitions, Trade Stalls, Food Vendors and much more. Spontaneous dancing is encouraged at any time!